Up to 50% off your purchase at Gap ends 5/21! If you follow me on Instagram, you know that I was at an event for Gap Southpark. 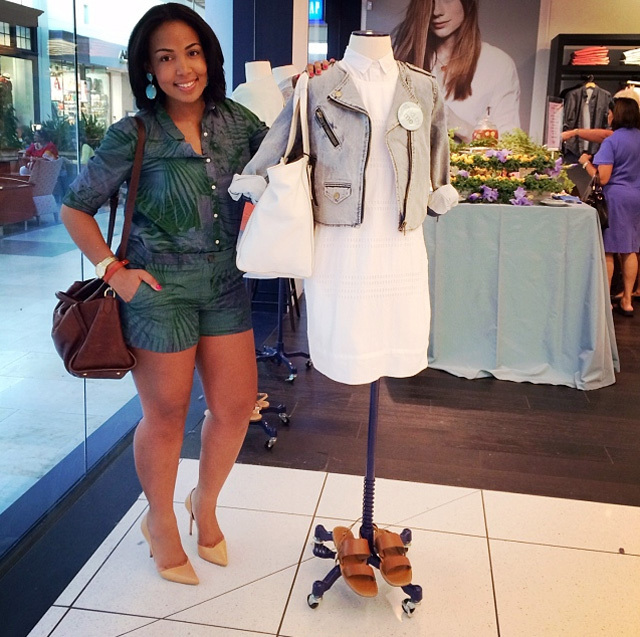 The style.d by event was held to debut Gap's new Miami Pop collection. There were live models styled by Urban Daddy, delicious food (I mean really, really delicious), and great music. I styled my very own mannequin with items from the collection. I thought crisp white pieces and the great denim biker jacket screamed Summer.